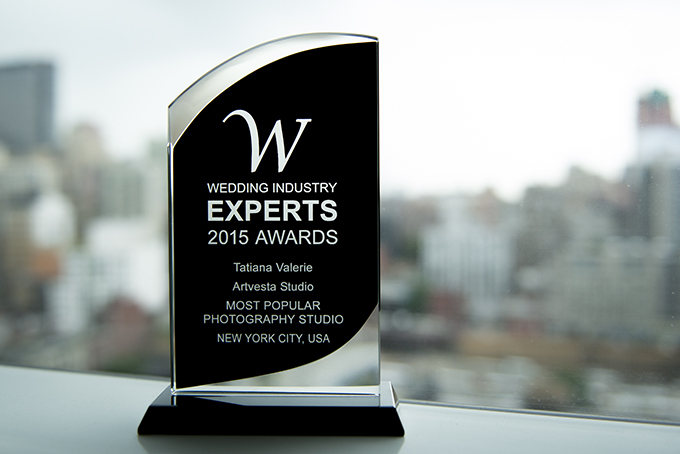 I’m incredibly excited to announce that we have won “The Most Popular Photography Studio in New York” award by the Wedding Industry Experts. The Wedding Industry Board announced the winners on June 16th, 2015. The Wedding Industry Experts Awards were started in 2012 and are now the largest popularity competition for Wedding Professionals & Businesses worldwide. There are 82 categories and entrants compete for city, state, country and international levels. Most votes in a category & location wins. I am so thankful to everyone who supported and voted for me in this competitive endeavor. Congratulations Tatiana. The award is beautiful! Well deserved my friend.